Make the salsa In a medium saucepan, combine the cider vinegar with the sugar, salt and 1 cup of water and bring to a boil. Remove from the heat and add the rhubarb and onion. Let cool completely, then transfer to a medium bowl and refrigerate for 1 hour. Drain well, return to the bowl and stir in the parsley. Meanwhile, make the lamb Preheat the oven to 400° and set a rack on a baking sheet. In a small bowl, whisk the olive oil with the garlic, thyme, fennel seeds, salt and pepper. Using a paring knife, poke holes all over the lamb. Rub the garlic mixture all over the lamb and transfer it to the rack. Roast the lamb for about 1 hour and 20 minutes, until an instant-read thermometer inserted in the thickest part registers 135°. Transfer the lamb to a carving board and let rest for 30 minutes. 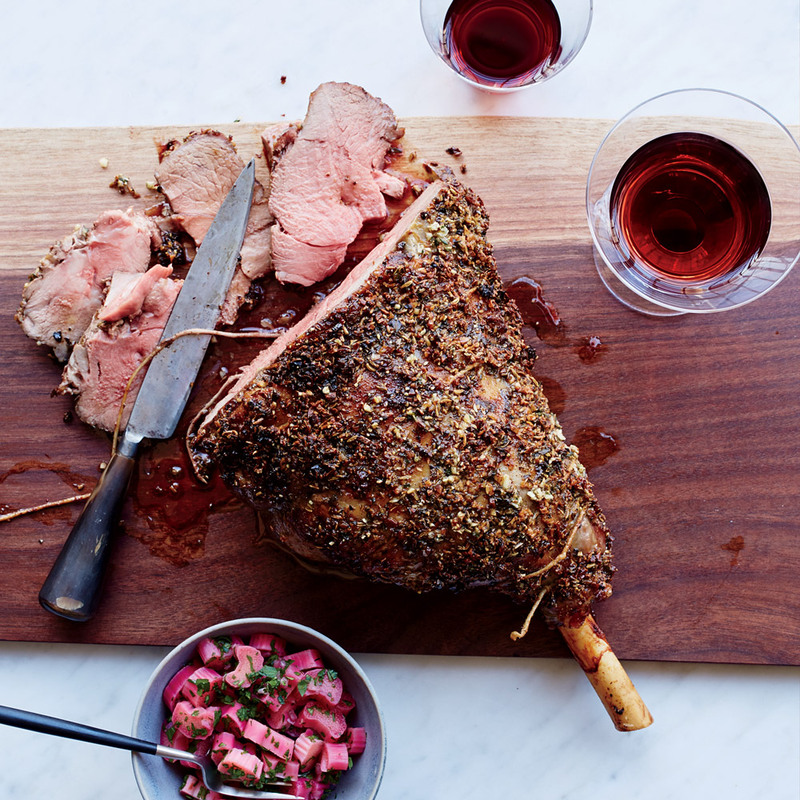 Carve the lamb and serve with the salsa. The pickled rhubarb salsa can be refrigerated for up to 2 days. Stir in the parsley before serving. Review Body: The roast in this lamb looks perfect. This looks great!